Woodland Enterprise took part part in an important new initiative, kicked-off by leading manufacturer Stihl, to tackle rural crime. 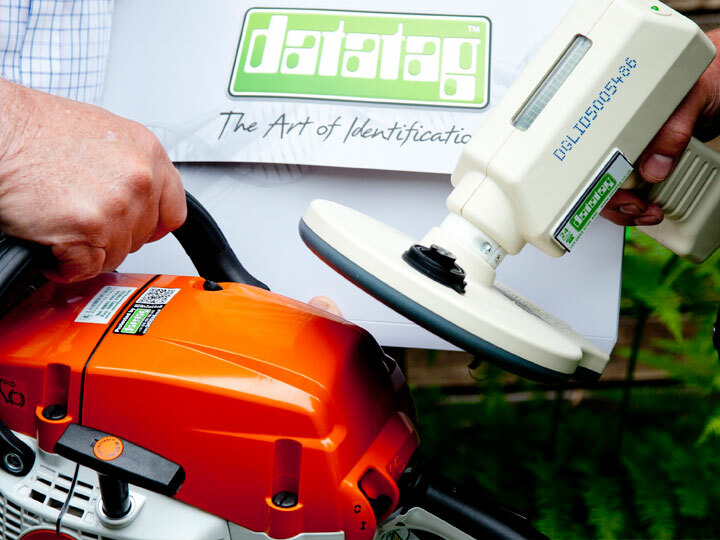 Datatag ID Limited, the power behind the official equipment security scheme CESAR, officially launched a new security and registration scheme for outdoor power tools in conjunction with Stihl. Police officers, the forestry commissioner Mathew Woodcock, Wildlife and national trust members were all in attendance of this important event. The new innovative system gives each piece of equipment a unique and permanent identity using Datatag security technology to protect power tools. Like CESAR the new scheme is designed to be a major and long term crime prevention initiative and equally an invaluable aid in recovery. Each item is given its own unique identity, using state of the art security marking technology, every individual owner of a protected outdoor power tool will benefit from the Datatag ‘deterrent effect’. The scheme includes an on-line registration process for end users which generate a ‘log-book’, for each individual piece of Stihl equipment, that acts as proof of ownership. The background to this latest initiative from Datatag is an increase in rural crime. Chain saws, brush cutters, blowers, and other similar items are commonly stolen by opportunistic and professional thieves. As the market leader Stihl products are always in demand. There have been many instances where dealer premises are targeted and ‘ram-raided’ in the middle of the night when many thousands of pounds worth of equipment can be stolen in a single ‘hit’. More commonly single items are stolen from farms, contractors, vans, and work sites. Like in other Datatag security systems and CESAR each piece of Stihl equipment is given a unique and permanent identity, like a fingerprint, using sophisticated security marking technology. The outdoor power tool system includes an RFID ‘tag’, which can be read by police scanners, forensic DNA and Datatdots, and a warning label with unique number and QR code. The QR code can be read by a smartphone app. Once a protected piece of equipment is sold the customers details are logged on a secure database completing the registration process. 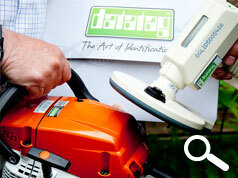 Datatag and Stihl are confident that this new initiative will cut crime at retailers and from end users. The confidence is borne out of the success of the CESAR scheme which has helped to cut construction and agricultural equipment theft by 46% in the last 3 years. Commenting at the launch of this important new initiative Datatag’s Managing Director Kevin Howells said, “Stihl are to be applauded for this initiative which will have a double effect safeguarding dealer premises and bulk stock and individual pieces of equipment with end-users. The technology used to give the unique and permanent identity is similar to that in the CESAR scheme which has had a marked impact on equipment theft in the past 7 years”. Both Stihl and Datatag are sponsors of the British Superbike (BSB) series and Datatag supplies security technology and registration for the ‘Master Scheme’, the Motorcycle Industry Association (MCI), official security marking scheme for motorcycles, mopeds and scooters. Mandy Halliday of Cranleigh Garden Machinery commented "I think the New Scheme is a marvellous idea. Our industry has been ignoring the elephant in the room for too long. I am sure that insurers will start to become more difficult over paying claims if people are not taking a robust stance when it comes to security. If this happens then the buyers of premium products like STIHL may look to cheaper alternatives if they feel that it is inevitable their garden machinery will be stolen again. We need to protect our market". NFU also showed their support of the scheme as they know the importance of preventing theft and having a scheme that can strongly aid recovery.